This happened precisely at 20:08 at a Ceremonial Opening in the packed Liberec Tipsport Arena, when the President of the Senate of the Czech Republic, Milan Štěch, uttered the opening lines. 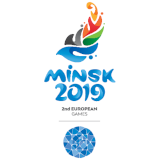 It was all witnessed by representatives of 44 teams of young athletes, the President of the International Olympic Committee (IOC), the Belgian Jacques Rogge, and the President of the European Olympic Committees (EOC), Patrick Hickey, from Ireland. The Opening Ceremony, presented in Czech and English by the TV and radio presenter Libor Bouček, was designed as a journey around the history, inventions, and symbols of the Czech Republic. It consisted of three topical and philosophical levels. The first one was a “heart” as a symbol of pulsating life and at the same time a symbol of the Czech Republic as the heart of Europe. The second level introduced leading Czech personalities, inventions, and symbols in the section titled “What did the Czechs give the world?”. The last level depicted the future – demonstrated by a “robot” from the writer Karel Čapek and new technologies, the “nanotubes”, symbolizing future generations. 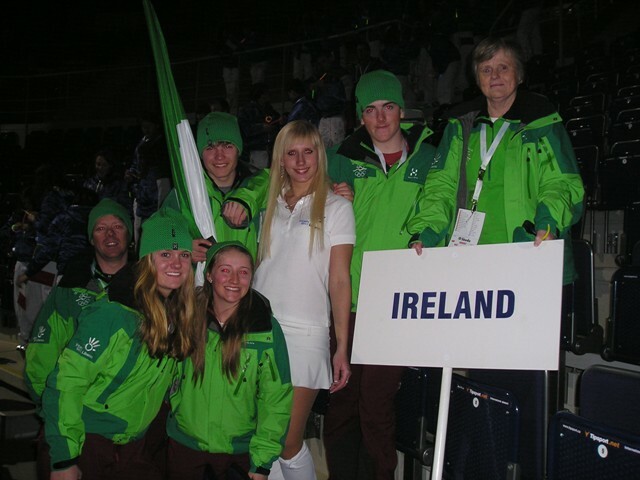 Ireland’s Flag Bearer at the Opening Ceremony was Slalom Skier Hubert Gallagher. Coach Phil Brown, Athletes Kristen Sweeney, Victoria Bell, Hubert Gallagher (Flag Bearer), Sean Lyne and Chef de Mission Anne O’Connor in their Haglof sponsored Olympic Team Clothing. 19:50. The Opening Ceremony starts vigorously with a drum show delivered by the Aries band. 19:53. Presenter Libor Bouček opens the Ceremony, welcoming athletes from 44 countries. 19:55. A parade of flags and the presentation of countries begins. The flag of Greece is paraded first, followed by teams in alphabetical order, with the flag of the Czech Republic concluding the parade. 20:36. The President of the EYOWF 2011 Organising Committee Roman Kumpošt delivers his brief address in English. 20:43. Patrick Hickey, President of the EOC, delivers his address. 20:45. “I declare the 10th European Youth Olympic Festival open,” says Milan Štěch, the President of the Czech Senate. 20:47. 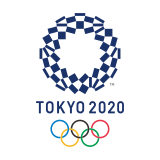 The Olympic Anthem resounds through the Arena, an unfurled Olympic flag is brought in and raised. 20:56. The Olympic Torch, brought here at the end of January from the Panathinaiko Stadium in Athens, enters the Arena. An acrobat on a rope is lowered from a ramp placed under the roof and meets the Torch bearer in one well-timed moment. He receives the Torch head down from the runner and rises back in the direction of the cauldron, which he then lights. 20:57. The athlete Jessica Jislová and the judge Michal Škop take their oaths in English. 21:00. The children’s choir Severáček sings the national anthem. 21:04. The art block called “What did the Czech Republic give the world” starts. King Charles IV appears, as well as the teacher Komenský, Čapek’s “robot” and the legendary plastic explosive Semtex. 21:30. The programme concludes with a concert by the group Eddie Stoilow, who recorded the official song of the Festival. 21:50. Two hours later, the Opening Ceremony is over. The races of the 10th EYOWF may begin.